If using dough sheet: Unroll dough on work surface. Press into 12x8-inch rectangle. 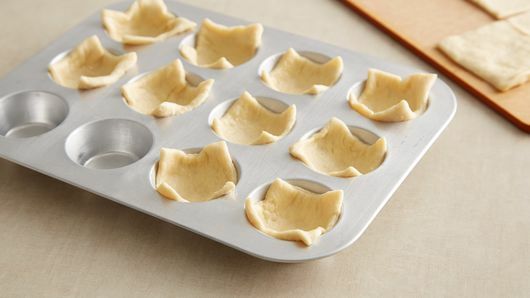 If using crescent rolls: Unroll dough into 1 large rectangle. Press into 12x8-inch rectangle, firmly pressing perforations and seams to seal. 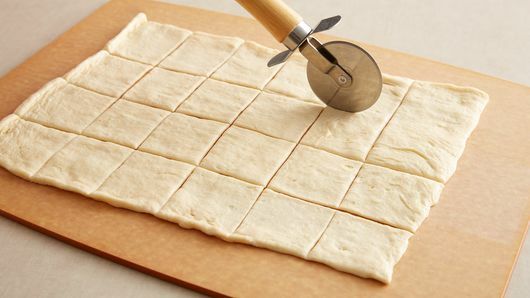 Using pizza cutter, cut dough into 6 rows by 4 rows, to make 24 squares of dough. 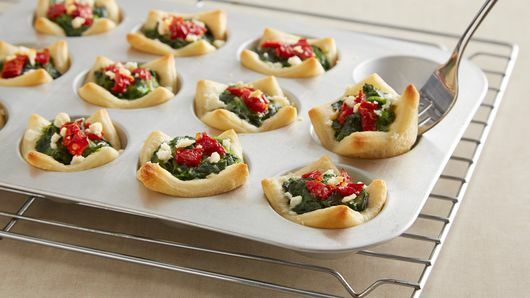 Not a fan of feta cheese? 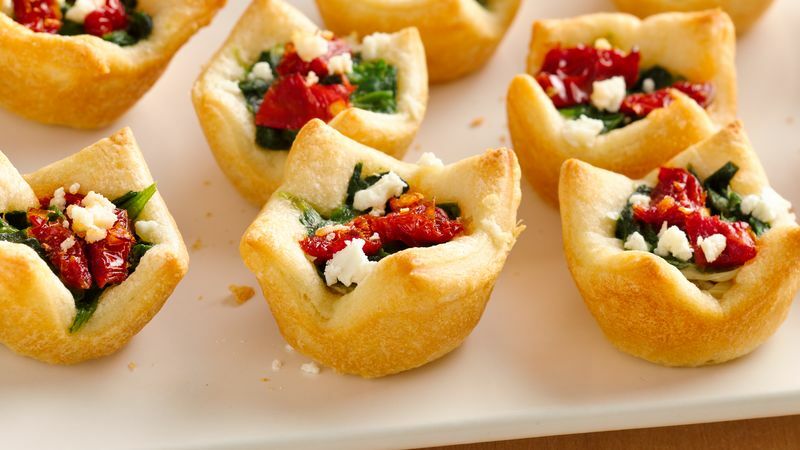 Use 1/4 cup of shredded mozzarella cheese in its place. Can't tell if your crescent dough is done? 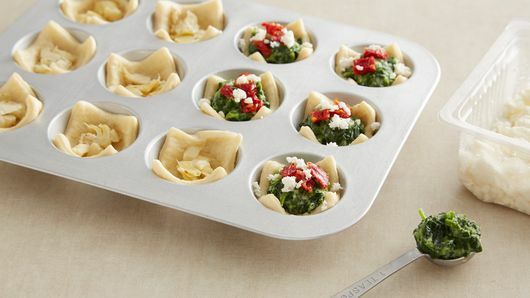 Use a fork to lift up one of the cups while still in the muffin pan.